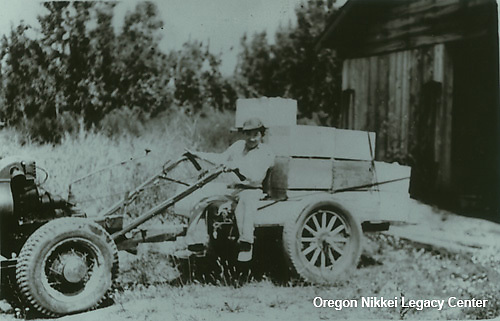 In 1920, 351 Japanese lived in Hood River, and produced 75 percent of the valley's strawberries. About 70 Issei owned 1,200 acres and leased 850 more. Asparagus was also an important food crop. Asparagus production began primarily in the 1920s, and by 1928, through the Mid-Columbia Vegetable Growers' Association, which had both white and Japanese members, the Japanese in Hood River shipped fifty thousand crates of asparagus annually to eastern markets. Photo: Courtesy of Chiz Tamura.